Imagine any website that has good color graphics, structured content, and presentations in terms of data it provides. Let’s say Myntra web application (e-commerce), this website is in black and white tones and with no images no presentations and no color used. This is the power of CSS aka Cascading Style Sheet known to worldwide. CSS is a style sheet language used to display details on the screen; this style sheet is used to make the structured content more presentable. The above scenarios describe the importance and advantages of CSS in web development. Every website has content and has a predefined structure or layout. This layout is used to present the content. This is the main purpose of CSS; it separates the document structure from the presentation of the document. HTML is all about structure and nothing else as most of us are aware of this basic definition of HTML. With CSS a user can make quick changes if needed but this is not an easy task with HTML. Earlier the background color of my web page was red (code will be #ff000). If a developer wants to change any design color he just has to correct a single line of code which will be reflected in any number of webpages. He will (code #eeeeee for light grey) change this and his work is done. Less use of coding will increase page efficiency and decreases the loading time. More the loading time more the users are frustrated. What actually happens in coding is interesting to know and how CSS is a savior. Imaging a table field is built in code; this makes the reading of code twice. First to understand the basic structure of the table and the second time to actually display the content within the table. This double work may slow down the website loading. Now the CSS advantages, though images are always bigger than the biggest code used or discussed in above reference since we have used CSS in a separate file, the code built in CSS format will be cached after the first initial request and there is no need to download the page again. This is one of the crucial behavior of CSS over HTML. A consistent approach is something that a CSS offers to its users, by making a small change to your website the same changes are reflected in other parts of the website. The larger your website is in content and layouts the more time CSS saves for you when comes to changing. It also checks and ensures every page is consistent which is also the basic Advantages of CSS. Your presence in the digital market aka internet is very crucial form business point of view. CSS is considered as one of the safest coding methodologies for web development, it also means that your website has more content than codes. 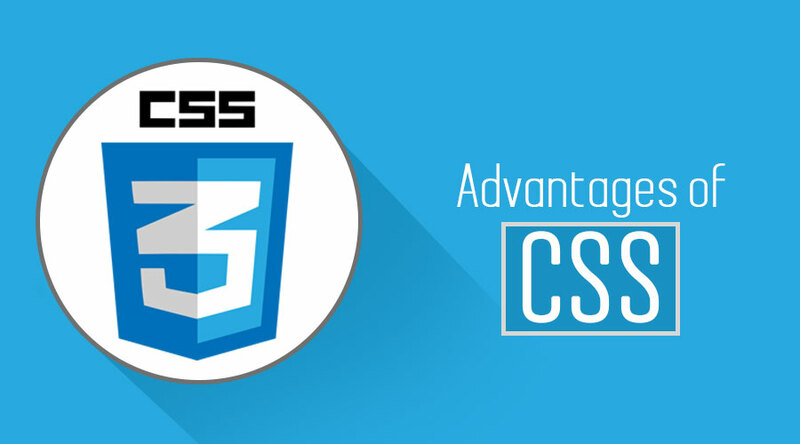 One of the advantages of CSS is that CSS is very helpful for Digital marketing purposes where every promotion of your web page gives a chance to score a business. So, more content than code formula with the help and use of CSS techniques are better for digital marketing and your business ultimately. Spacing, alignments, and positioning: means the control of CSS and its higher version is terrific over the visual placements like margins, floats, text indentation. This increases the visuals and is helpful for low vision users. As we cannot deny from the fact that whatever is developed in IT are tested before release. So every web applications have to pass the testing criteria before it is handed over to customers. Now with this comes compatibility issue. How quickly your websites are compatible with different browsers in terms of speed, content loading, uniformity, and response time and information presentation? See this link, as there is a huge number of web browsers you cannot ignore the compatibility factors. CSS style sheets increase your web adaptability in all the above-mentioned terms and make sure that your users have a uniform view. We have come across some crucial Advantage of having CSS in our website development. It has wide usability and uses cases from development and designing and how it influences other business factors like SEO, digital marketing and search engine etc. Also one of the very crucial points that are considered over the world level is the accessibility edge that CSS offers to its users. Survival of the fittest is not only nature’s law but has completely absorbed by technology also. At present CSS4 is available and soon CSS5 or a newer version will be out in the market. Seeing these gradual increase simply means that CSS has successfully marked its importance and is there to stay long. It empowers business and web designers and developers with permission to make changes to web layout and structure using minimal efforts compared to other technology (HTML). Hope the above statement is valid enough for our readers and for someone who is looking to develop a website for your business, CSS is the one stop solution is all we can say.